To find the correct driver compatible to your laptop, the first step is to find the correct model number of your laptop and then you can download the relevant driver from your manufacturer’s website. Every laptop manufacturers provide relevant drivers for your laptop. Step 1 – Find the model number (Example – dell inspiron 4457, hp pavilion x360 etc.) or serial number of your laptop. Model number is written on the backside of the laptop in a sticker or you can find the model number written in the battery compartment of the laptop. You can also find the model number through command prompt. You will get model number and serial number as the result. Step 2 – Now, go and download the relevant driver from the driver download pages of different manufacturers. Below are some famous laptop manufacturers and their driver resource pages. Step 3 – Finally install the driver on your system. 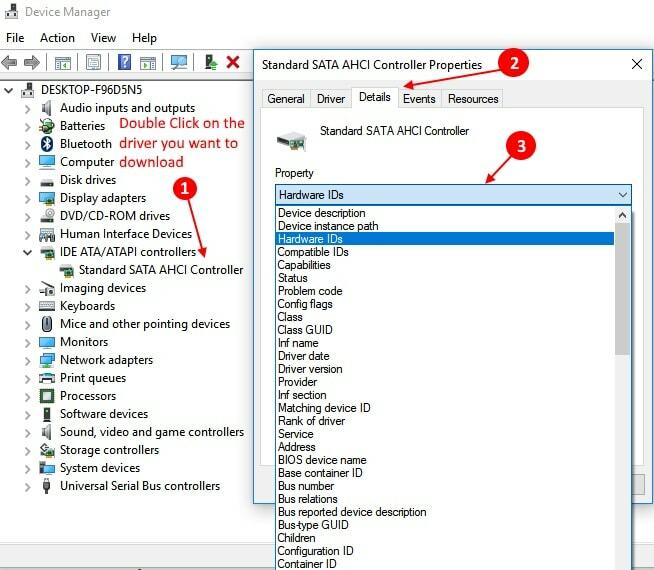 Step 1 – Press Windows + X key and click on device manager to open device manager. Step 2 – Now, Double Click on the driver name you want to download. Step 3 -Now, click on details tab. Step 4 – Now, choose Hardware id from the property dropdown. Step 5 – Now, right click and copy the topmost hardware id. Step 6 – Now, do google search as hardware id windows 10. 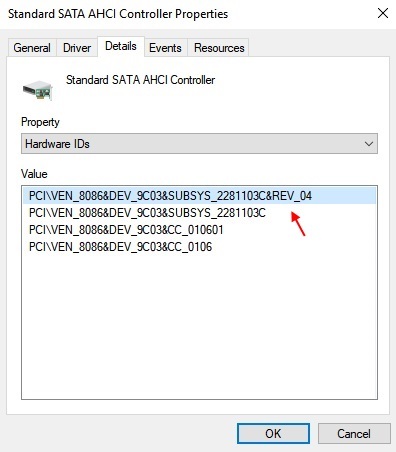 For example if my hardware id in this case is PCI\VEN_8086&DEV_0153&SUBSYS_05891028. In this way i can find the relevant driver download link in Google.